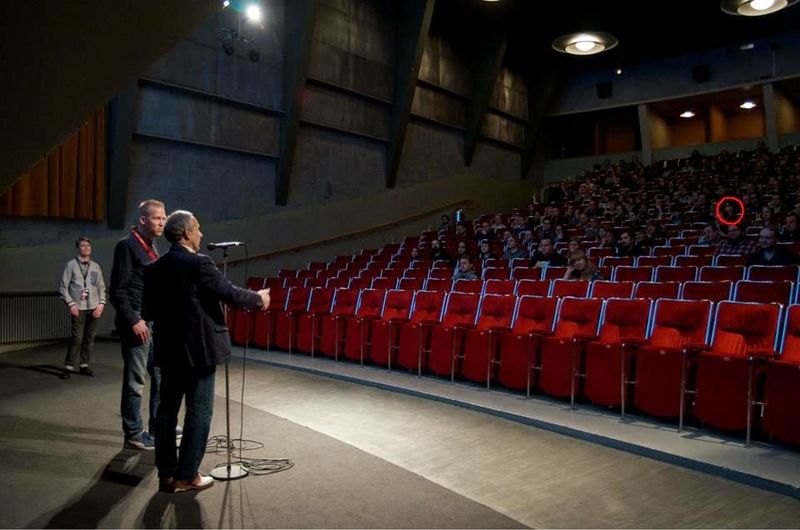 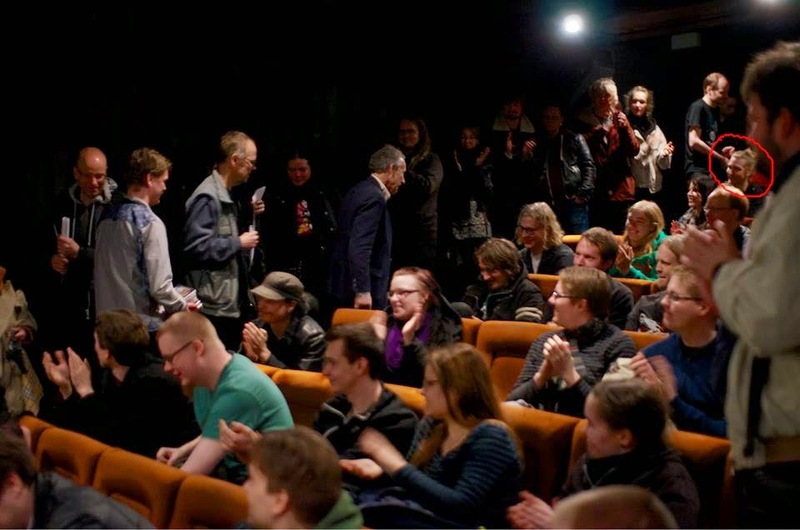 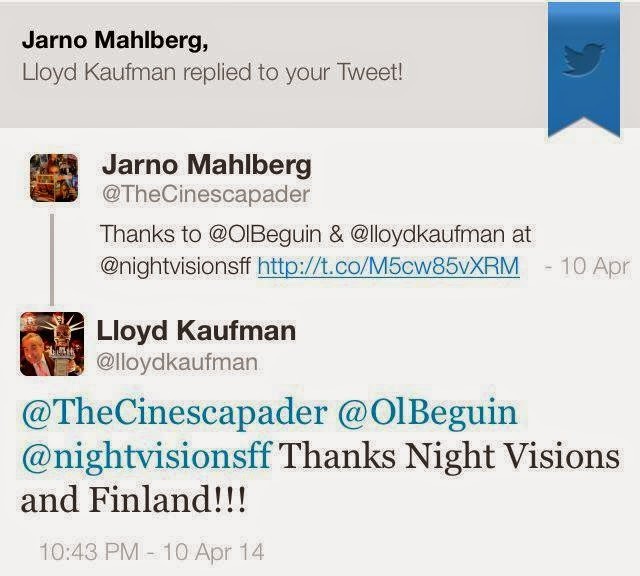 The Cinescapader: Night Visions Back to Basics 2014 with Lloyd Kaufman, Olivier Beguin and Stig Frode Henriksen! 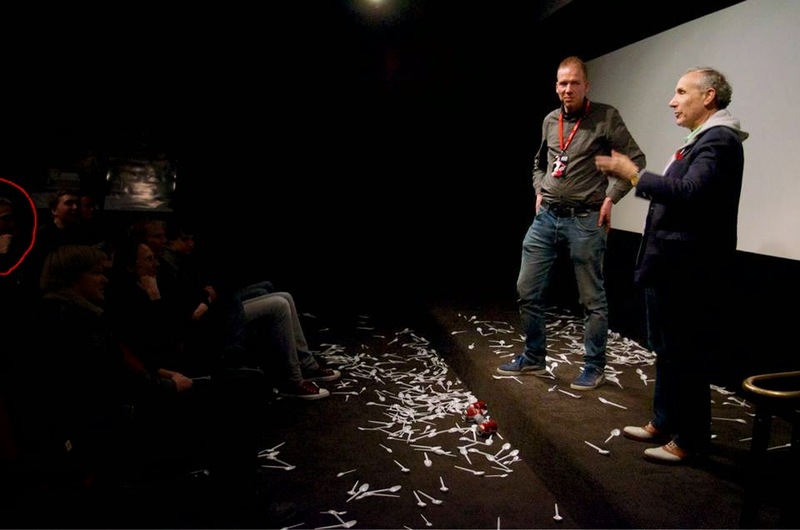 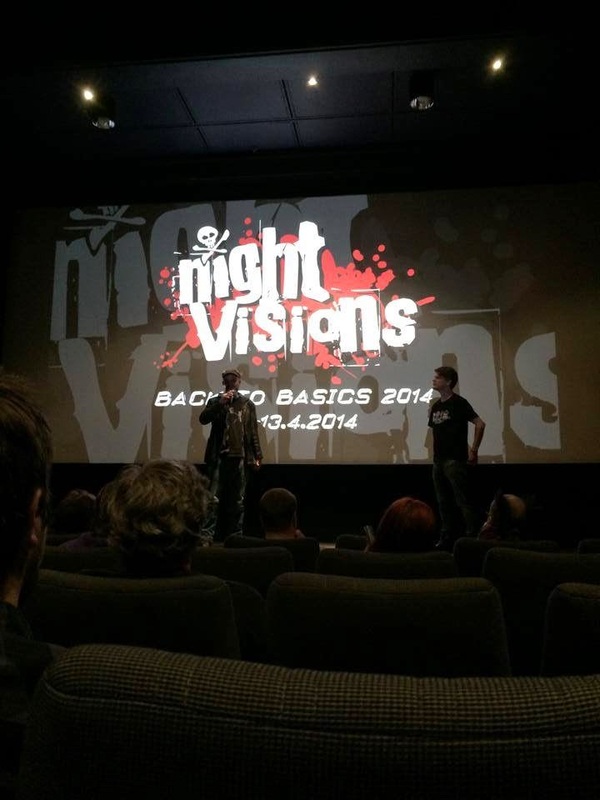 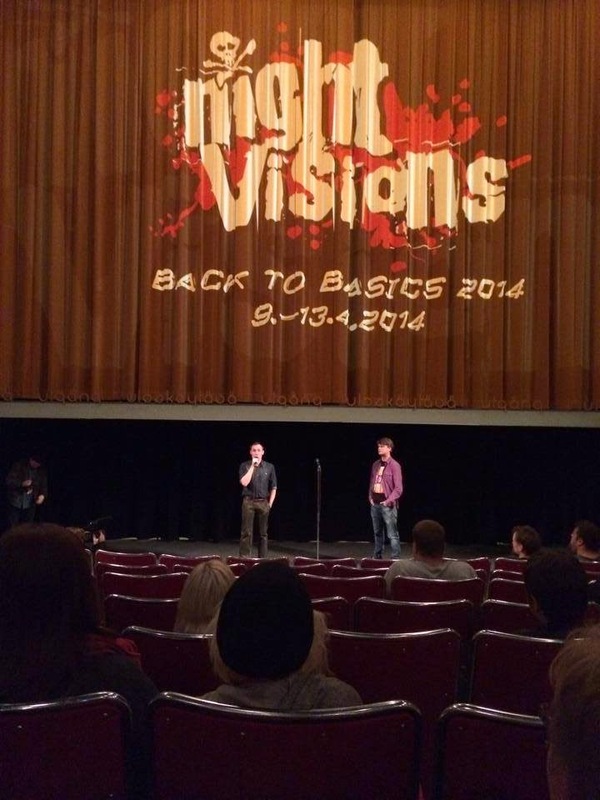 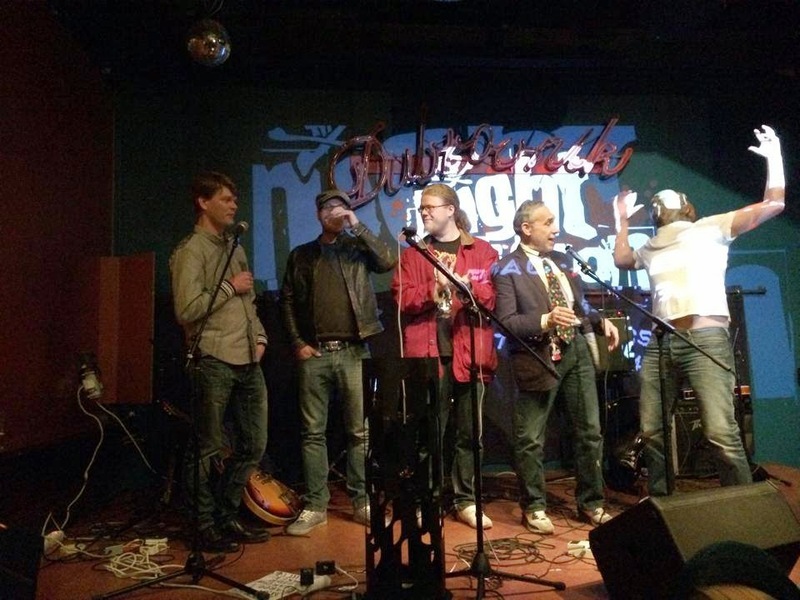 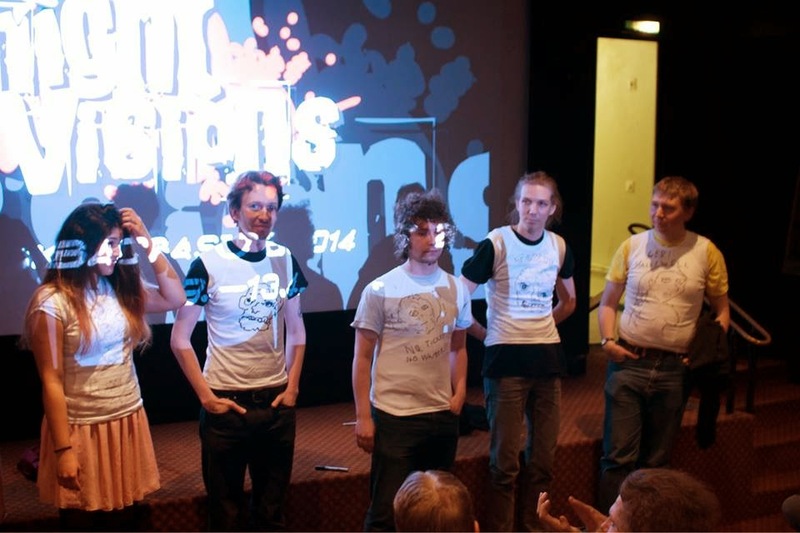 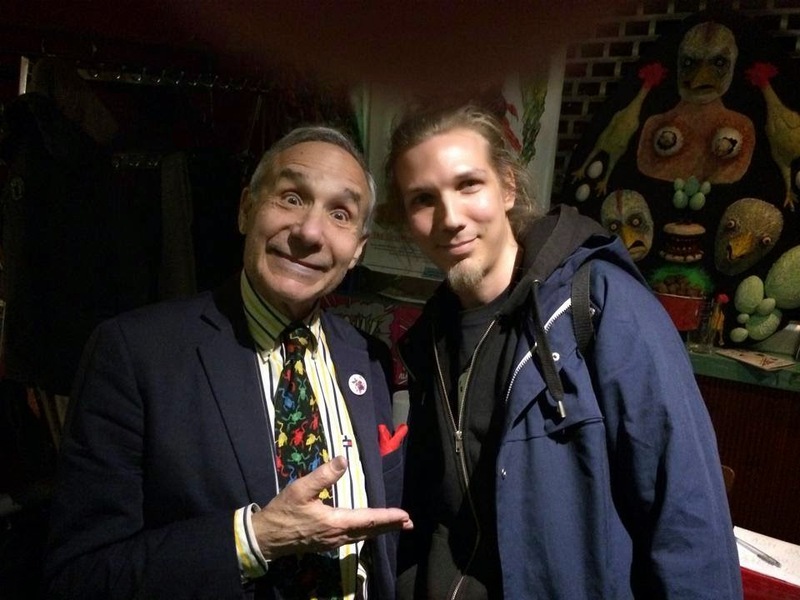 Night Visions Back to Basics 2014 with Lloyd Kaufman, Olivier Beguin and Stig Frode Henriksen! 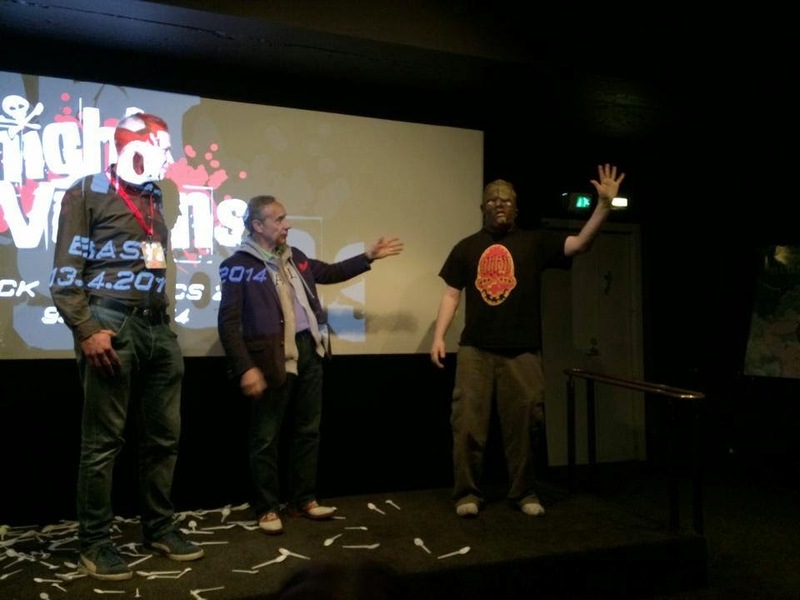 Festival poster signed by Lloyd Kaufman, Olivier Beguin and Stig Frode Henriksen! 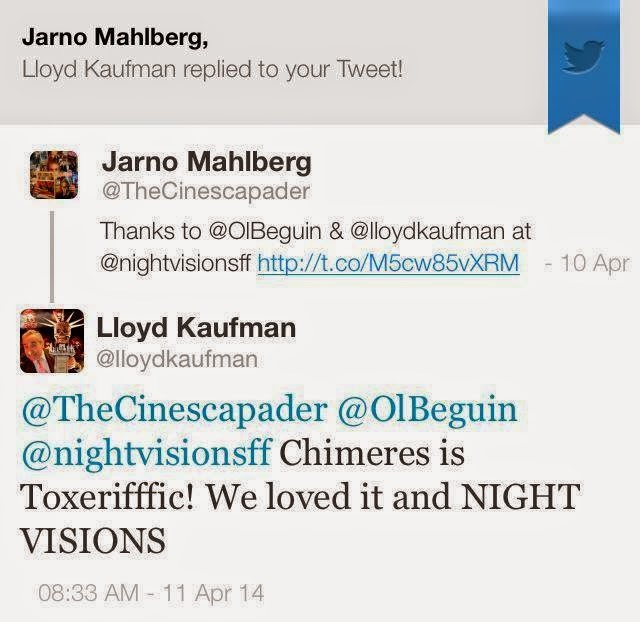 Lloyd and Toxie presents Poultrygeist and Q&A after Poultrygeist. 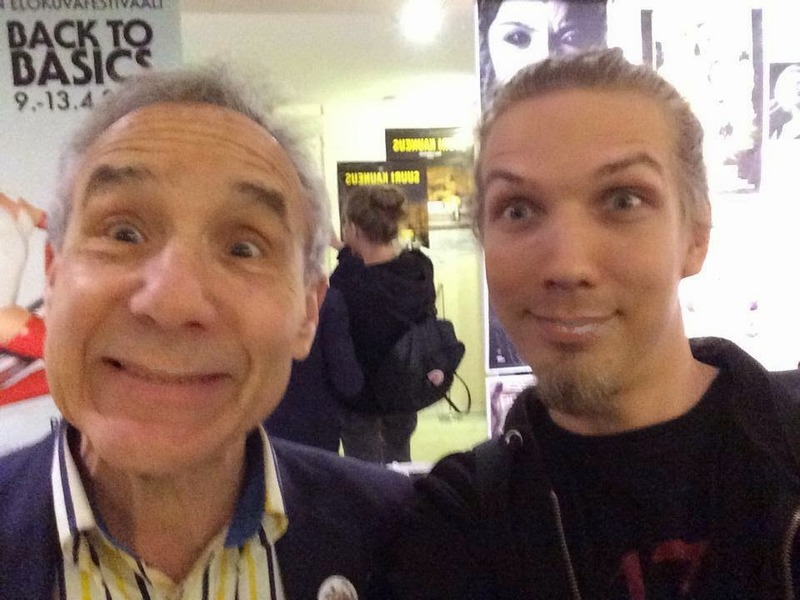 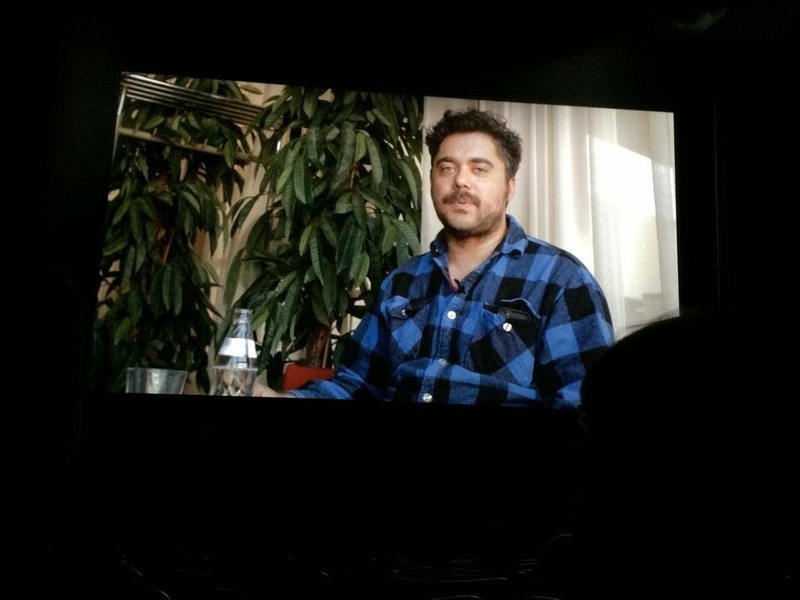 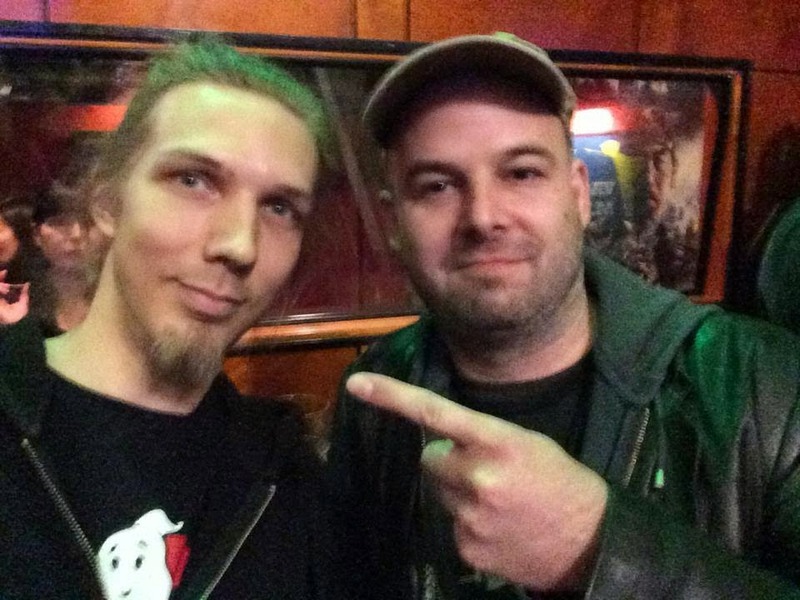 David F. Wnendt's Video greetings and Stig Frode Henriksen talks about Dead Snow 2. 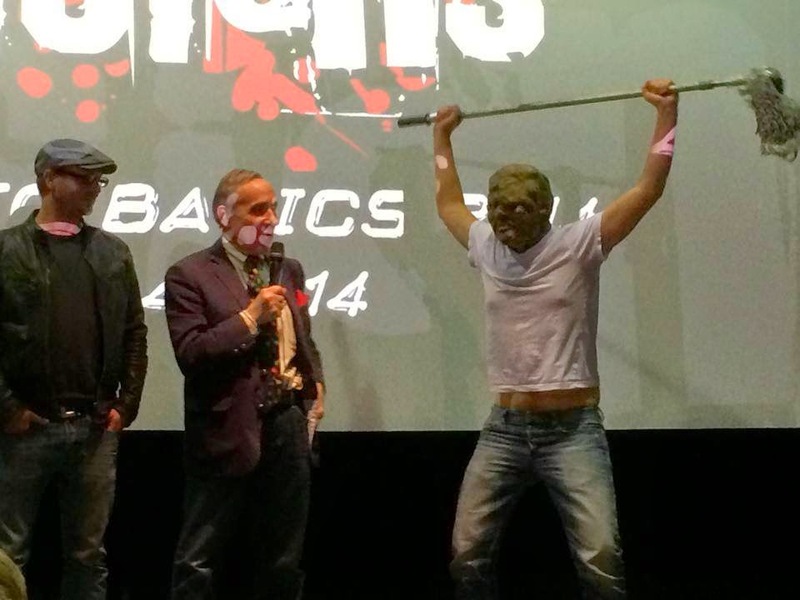 Lloyd talks about Bloodsuckings Freaks. 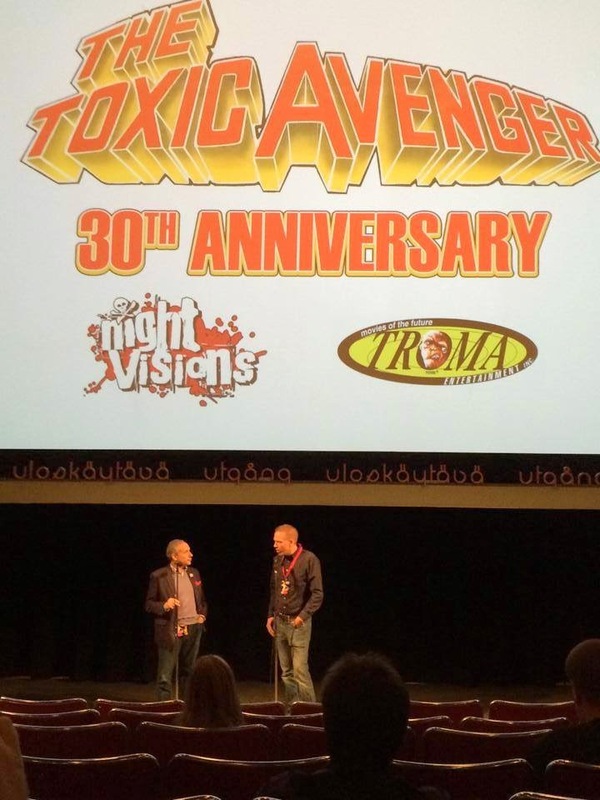 Lloyd talks about the Toxic Avenger. 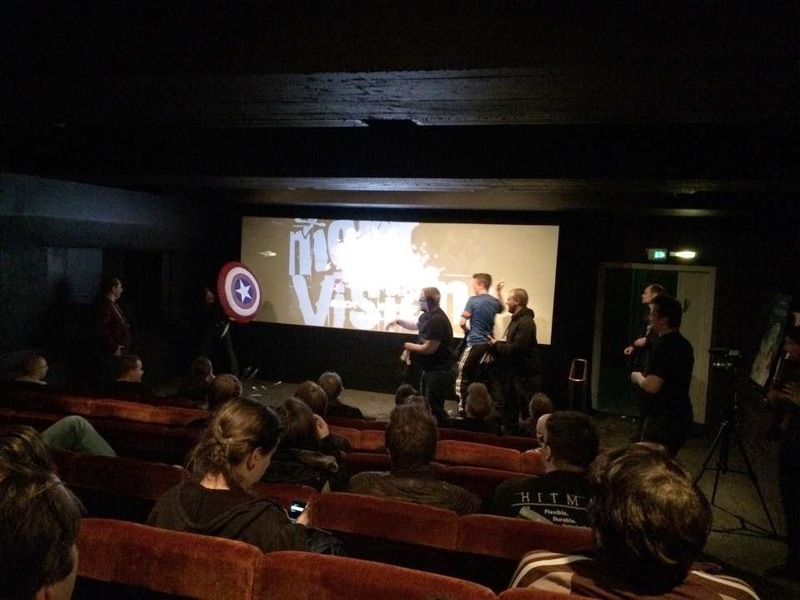 Toxic Avenger shirt contest and Captain America contest. 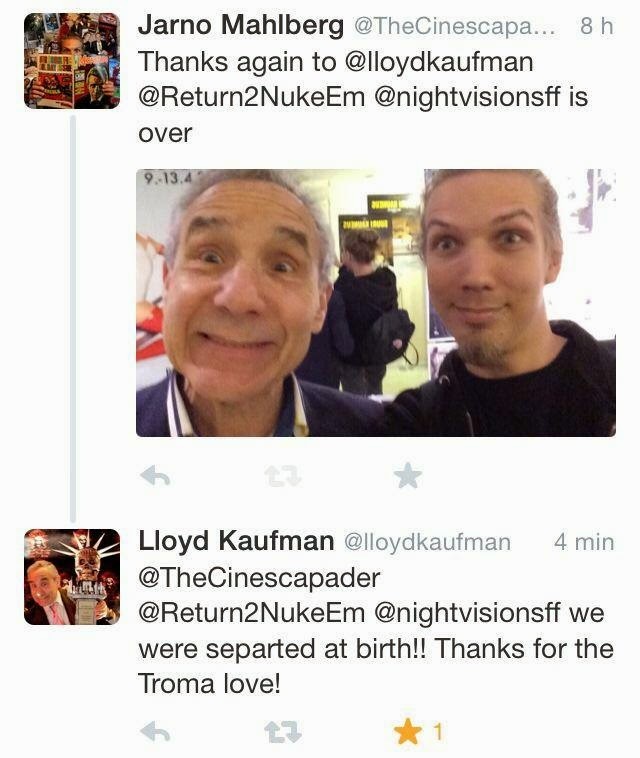 Lloyd leaving after the Return to Nuke 'em High. 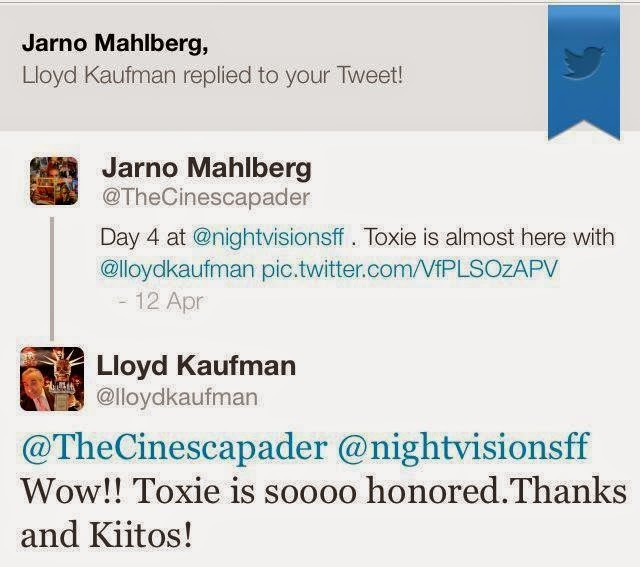 Stuff signed by Lloyd Kaufman. 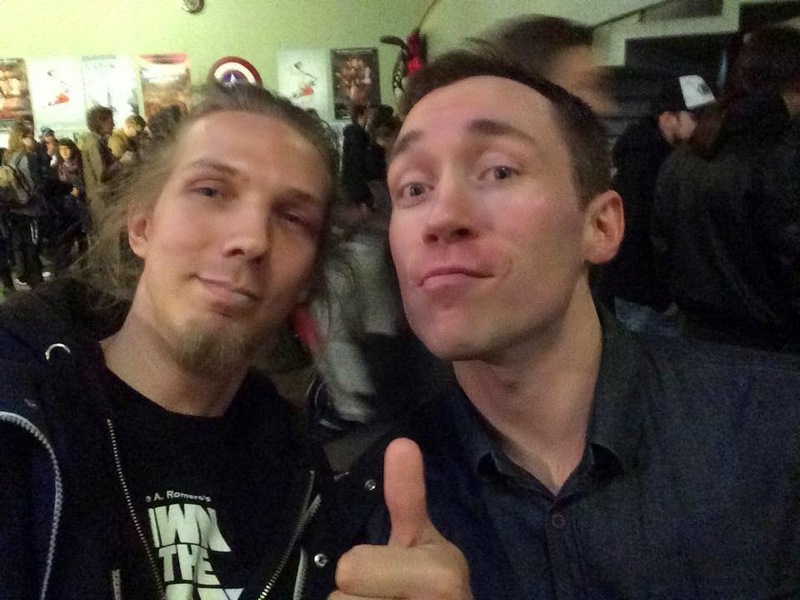 Dead Snow DVD signed by Stig Frode Henriksen.